DryLin® ZLW belt drive actuators were developed to quickly position small loads and can be employed in a number of industries from packaging to medical technology to food and beverage. These belt drives are extremely cost-effective versus ball bearing drive systems and work well in dirty, dusty environments and clean environments. Request free samples and more information here. In the past several years, with the integration of advances in technologies like piezo actuators, virtual programmable pivot points, and system simulation, hexapod performance has taken a significant leap forward, to the extent that electromechanical and piezoelectric hexapods are now viewed as more efficient and accurate systems compared to serial linkage and hydraulic kinematic positioning systems, including those commonly used on robotic arms. Learn all about hexapods and their capabilities in this extensive article. To provide better situational awareness for Bradley Fighting Vehicle Infantrymen, a cross-discipline team of U.S. Army Research, Development, and Engineering Command engineers is developing the Virtual Window -- a video display mounted to the interior of the rear ramp that provides the Soldiers a comprehensive environmental view before they dismount the vehicle. A rocket-powered, vertical-landing space-access technology demonstrator reached its highest altitude and furthest distance to date March 25 at the Mojave Air and Space Port in California using a developmental navigation system designed to land a space vehicle on other celestial bodies. The 5th annual Global Product Data Interoperability Summit, co-sponsored by Boeing, Northrup Grumman, and Elysium, is even bigger and better this year. The event will be held at no cost to industry professionals and supply-chain partners in aerospace, automotive, related industries, and academia September 9-12 in Chandler, AZ. Clippard Minimatic Electronic valves and manifolds provide a complete system for efficient interface with electric and electronic circuits for many applications. The standard models provide an air flow of 1.4 scfm at 100 psig, more than twice the flow of Clippard's trusted EC/EV/ET valve series. Optional 1.1 scfm at 50 psig and 0.95 scfm at 25 psig flow models are also available. The valves are precision-built, two-way, normally closed control valves, utilizing a unique valving principle with no sliding parts. Complete poppet travel is a mere 0.007 in. 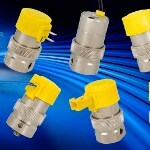 Click here to view Clippard valve options. Whether they drive the fans and pumps of commercial HVAC systems or the conveyors of industrial production lines, motors controlled by variable frequency drives (VFDs) are vulnerable to electrical bearing damage. A savvy specifier will choose new motors that are already equipped with shaft grounding rings, but for retrofits the new AEGIS Shaft Voltage Test Kit makes it easier than ever to measure and document VFD-induced voltages while there is still time to head off damage and downtime. The result of collaboration between Electro Static Technology and Fluke Corporation, the kit includes a specially tipped probe and a portable oscilloscope. InduSoft has created the world's first SCADA/HMI app designed specifically for Windows 8 and Windows RT. InduSoft Visualization App gives users the ability to monitor critical industrial-floor information anytime/anywhere on their tablets or laptops. 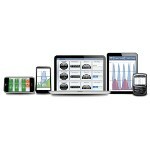 Users can view alarms, alarm history, process values, trends, and historical data from any location. 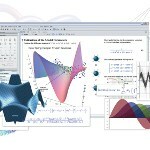 Maple 17 from Maplesoft includes ground-breaking achievements in solving a whole new class of differential equations, major advancements in solving systems of equations, new signal processing tools, expanded support for physics, statistics, dynamic systems, and more. Performance has also been enhanced with improvements to frequently called routines and algorithms as well as in the low-level infrastructure of memory management. Updates include a new advanced code editor, an embedded video component, and improvements to 2D and 3D visualizations. RedEye On Demand, a rapid prototyping and direct digital manufacturing service, and its parent company Stratasys, recently announced a collaboration with KOR EcoLogic to produce URBEE 2, the first road-ready, fuel-efficient car built using 3D printing, or additive manufacturing, technologies. Targeted to hit the road in two years, the 10-ft-long, 1,200-lb three-wheeler represents a significant milestone in the world of traditional assembly-line manufacturing. Take a peek behind the scenes at the designing of Microsoft's Surface Tablet. You know, that cool one on the commercials that "snaps" together with its keyboard? 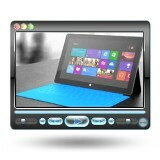 When the video is over, take a look at the "Making of the Touch Cover for Surface" video. It looks like Microsoft has really loosened up on letting people see the design considerations and processes behind some of their products. Learn how CFAN, a joint venture between GE Aviation and Snecma in San Marcos, Texas, handcrafts carbon composite fan blades using more than 1,700 sheets of carbon fiber material per piece for the world's most powerful jet engines.